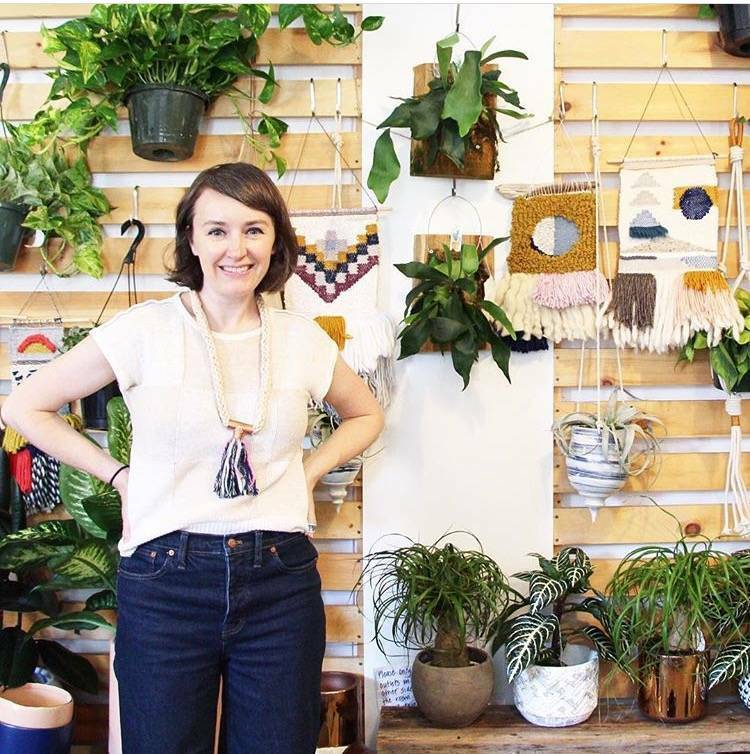 Jen Neal: I am a Brooklyn-based jewelry and fiber artist that makes woven wall hangings, tassel necklaces and teaches weaving workshops. I spend my days working to support the human rights movement and promoting documentary films that can challenge people to find ways to create change in their communities. Each night after work and during any spare moments I can find throughout the day - I put my heart to work designing and creating. I’m also a mother to two beautiful and hysterical little boys ages 1 and 3. SS: How did you fall in love with Fiber? JN: I’ve always been surrounded by great makers. My great grandfather was a tailor and I grew up with women around me who would take pride in showing me the things they made with a sewing machine or a pair of knitting needles. Being able to make things with your hands was always a romantic notion to me. It felt empowering as a little girl to be able to turn some embroidery thread into a friendship bracelet, to work with a beading loom, creating latch hook rugs and making my own clothes. It’s always been a part of how I relate to the world. It also allowed me at an early age to show off my entrepreneurial spirit :) I would sell my friendship bracelets, chokers, and other handmade items in the lunchroom at school or in a stand set up in my suburban driveway. Just as it did back then as a little girl, making jewelry by hand brings me so much joy and confidence. It may sound dorky, but seeing my work worn proudly by other women is the best feeling in the world. It’s a true honor to see my work making other women feel beautiful and powerful in some small way. I went to art school and studied fashion, illustration, and painting before I graduated with a degree in video art. Since my day job focuses so much on the many injustices people across the globe are facing, being able to come home and reconnect with fibers is very therapeutic. I find the community of fiber artists in Brooklyn and beyond so incredibly inspiring. There are so many talented women out there weaving and making fiber jewelry including my friend and fellow jewelry/macrame artist Alisha Rodriguez. Most of us have kids and use the income we bring in to support our families, other women makers and giving back to charities we care about. SS: What techniques do you use to create your jewelry? What is your process? 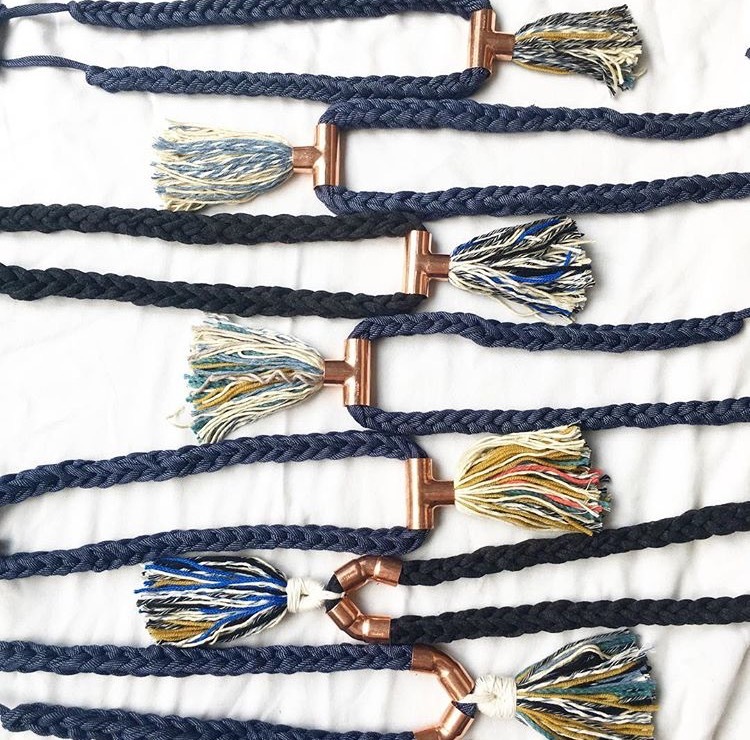 JN: Each tassel necklace I make is made for the most part from ethically sourced fibers. 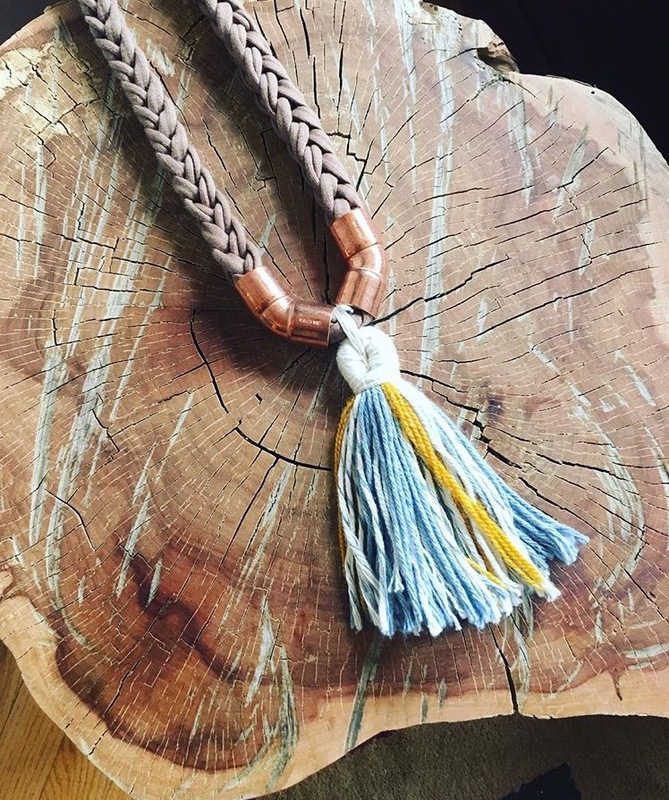 The cord for my necklaces comes from fashion industry off-cuts in Europe and the fibers in the tassels themselves, for the most part, come from recycled denim, cotton, and vintage fibers. For that reason, each piece is unique and once I run out of a certain color or fiber - it’s gone for good. I crochet each necklace cord, then take the time to carefully select fibers and wrap the tassel by hand. SS: Any specific inspiration behind your creations? Maybe it’s the inspiring ways in which women right now are coming together and standing up for their rights, photos of my mother raising me in the 1970s, or the inspiring female fiber artists of the 1960’s/1970’s I have been obsessing over - but I design my tassel necklaces with strong women in mind - while paying homage to the ladies of the 1960’s-70’s fighting the patriarchy with their high-waisted jeans. The tassel necklaces look great with a pair of faded jeans, a simple t-shirt or a shift dress. 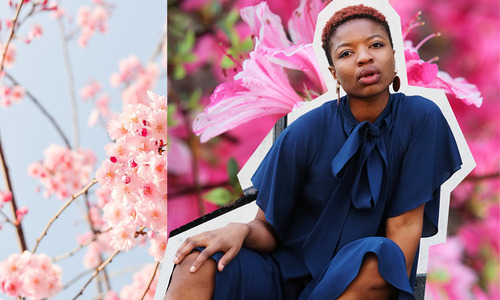 SS: We are a New York brand and you are a New York/Brooklyn-based designer, tell us some of your favorite places to eat, shop and hang out. JN: I have lived in Brooklyn for the last 16 years, and feel like I’ve grown up here. I moved here before I turned 21 and now find myself a lady with two kids and some gray hairs. My grandmother was born on Washington Ave in Prospect Heights, and both my grandfathers went to school in Clinton Hill and Fort Greene when they were teens. A perfect Sunday for me would include grabbing a coffee and pastry with friends at Stonefruit Espresso and Kitchen (where I also host my weaving workshops!) They have a plant shop in the back that is the perfect place to send off some work emails while sipping tea and listening to great music. The restaurant Buttermilk Channel in Carroll Gardens has the best friend chicken and waffles and is my go-to spot for special birthday dinners. Paired with a glass of Rose and their honey/sea salt popovers theirs is pretty much my favorite meal on the planet. Across the street from Buttermilk Channel is Frankie’s Spuntino, another favorite dinner spot. A few blocks from our house in Bed-Stuy is a spot that my husband and I love to take our family called Peaches Shrimp and Crab. When we go there our kids often stroll around like they own the place. On our corner, we also have the amazing Speedy Romeo (amazing wood fired pizza), and Clementine Bakery, (a vegan bakery and sandwich shop). On the rare late night when my husband and I go all out - we love dancing at Friends and Lovers and stopping by Chilo’s for some margaritas and tacos. Now that we have two kids under 4 years old, our hang out spots are somewhat limited to the spots where they can run free. We love the community gardens in our neighborhood, including Greene Acres - where they keep a few chickens that my kids love to play with and feed berries. 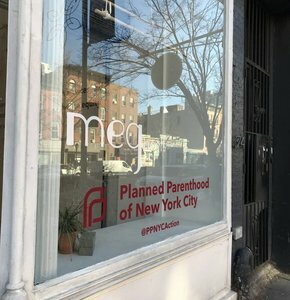 My favorite places to shop in Brooklyn include Meg (of course! ), Purl Soho (for fibers and sewing notions), Sweet William (for kids clothes) and the Brooklyn Flea for vintage.Find Jen's necklaces in your local store.